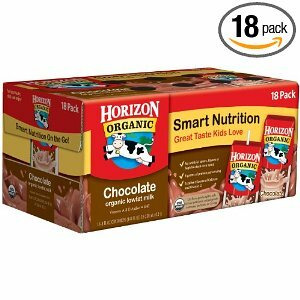 Amazon: Horizon Organic Chocolate Milk $0.78 a carton! Amazon has a great deal on Horizon Organic Low Fat Chocolate Milk . You will pay $14.02 total for 18 Horizon Organic milk singles, which is $0.78 per carton shipped! Add the Horizon Organic Low Fat Chocolate Milk to your cart by clicking the “Subscribe & Save” button. You will receive 30% off plus FREE two-day shipping with “Subscribe & Save.” You can cancel your “Subscribe & Save” after it ships. You’ll pay $14.02 for 18 Horizon Organic milk singles ($0.78 each)! The cheapest I’ve seen these for $1 each, so this is a good deal! Don’t forget to use Amazon gift cards from Swagbucks to get it for free! https://i2.wp.com/savvywifehappylife.com/wp-content/uploads/2011/03/horizon-organic-milk.jpg?fit=300%2C300&ssl=1 300 300 Brandi https://savvywifehappylife.com/wp-content/uploads/2016/09/SavvyWifeHappyLife-logo-2.png Brandi2011-03-31 23:16:342011-03-31 23:16:34Amazon: Horizon Organic Chocolate Milk $0.78 a carton! Just a reminder – Ends tonight! 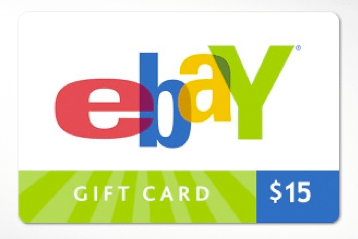 Log into your Groupon account (or sign up here if you haven’t yet) and then head on over here to buy a $15 eBay gift card for ONLY $7! You can use eBay to purchase good coupons! The $15 gift card can be used towards tax and shipping! Yay! Hurry up and buy it if you’re interested! Limit 1 per person. Limit 1 per order. Valid only on eBay.com in the U.S. Must have a registered eBay and PayPal account. Credit card info may be required at checkout. Not valid towards service fees. No cash back. May apply value toward tax & shipping.May use over multiple visits. https://savvywifehappylife.com/wp-content/uploads/2016/09/SavvyWifeHappyLife-logo-2.png 0 0 Brandi https://savvywifehappylife.com/wp-content/uploads/2016/09/SavvyWifeHappyLife-logo-2.png Brandi2011-03-31 21:11:392011-03-31 21:11:39Groupon: $15 Ebay Gift Card for only $7! $75 Worth of Seeds for just $5! Update Again: Looks like this is over for now! Keep checking back in case they reopen it again. Update: try this link if the one below doesn’t work. 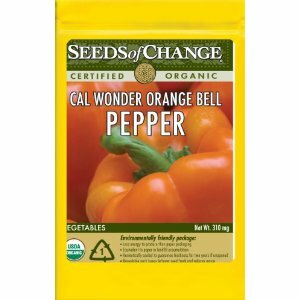 Seeds of Change is offering 25 Certified Organic Seed Packets (which usually retail for $2.99 to $3.29 per packet) for just $4.99 shipping. That’s 20 cents a pack for organic seeds! You don’t get to pick which seeds you get, but it’s still a sweet deal! I can’t wait to start gardening! https://i1.wp.com/savvywifehappylife.com/wp-content/uploads/2011/03/sochange.jpg?fit=300%2C300&ssl=1 300 300 Brandi https://savvywifehappylife.com/wp-content/uploads/2016/09/SavvyWifeHappyLife-logo-2.png Brandi2011-03-31 18:14:382011-03-31 20:21:56$75 Worth of Seeds for just $5! 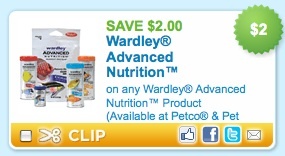 Go here to print off a coupon for $2/1 Wardley Advanced Nutrition Fish Food. This is priced at $2 or less at Walmart, so you can feedyour fishy for free! 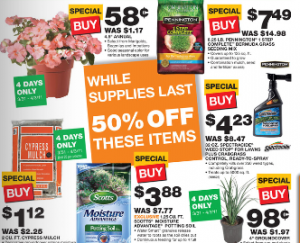 Home Depot 50% off Sale -Time for gardening! Home Depot is offering up some great “Black Friday” deals this weekend only! Just in time for gardening! I’m so excited! Plus, if your Home Depot takes competitor coupons, take this $10/$50 Lowe’s couponwith you! https://i0.wp.com/savvywifehappylife.com/wp-content/uploads/2011/03/home-depot-ad.png?fit=300%2C243&ssl=1 243 300 Brandi https://savvywifehappylife.com/wp-content/uploads/2016/09/SavvyWifeHappyLife-logo-2.png Brandi2011-03-31 13:12:452011-03-31 13:12:45Home Depot 50% off Sale -Time for gardening! Sign up for Dr. Perricone’s email newsletter by April 4, 2011, and you’ll receive a free Perricone Deluxe Hyper Hydrator. They mentioned this on Twitter. I was looking on their site and 1 fl. oz. of this is priced at $40! Thanks, Saving Dollar and Sense! 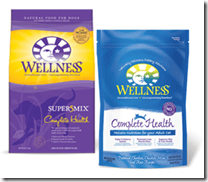 Go HERE to get a free sample of Wellness Dog or Cat Food! Limit one dog food sample and one cat food sample per household. Offer valid in US only. 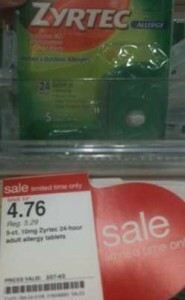 Final cost = as low as .58 for 2 or .29 cents each! 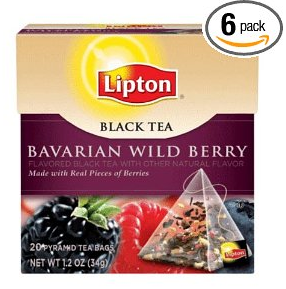 Amazon is having a great deal on their Lipton tea! You will get 30% off using code LPTONTEA at check out+ get an additional 15% off using Subscribe and Save (where you can cancel anytime). Most of these are $9 after the coupon codes and that’s for 6 boxes of tea shipped to your door (only a $1.50 a box)! The pyramid shaped bags are even on sale! Order soon because the offer ends tomorrow!